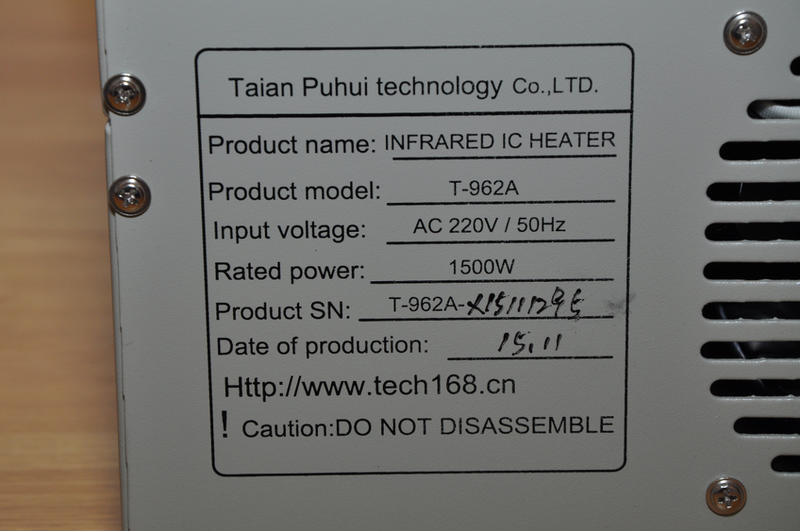 The Taian Puhui Technology T-962A infrared IC heater: a popular low cost 1500 W Chinese reflow oven with a handful of engineering flaws. 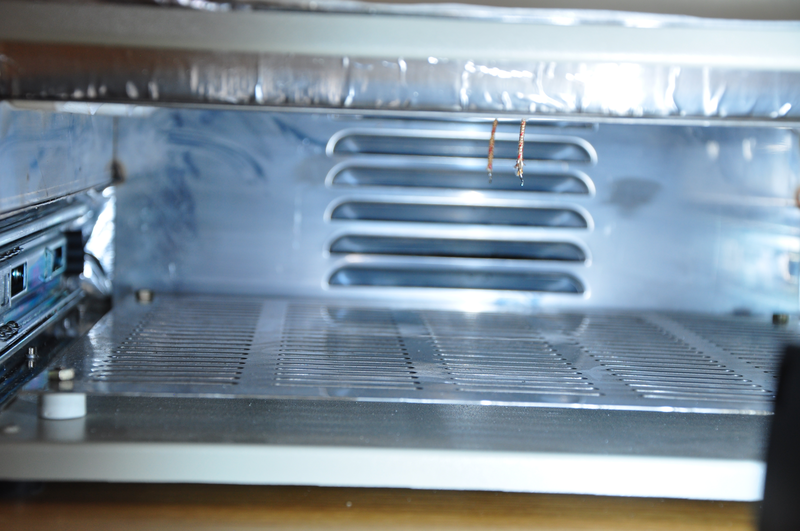 Several hack projects to resolve these issues and upgrade the unit to a proper hobby-grade reflow oven can be found on-line. This is just another one, though the information presented below may be a nice addition to what has already been published elsewhere. 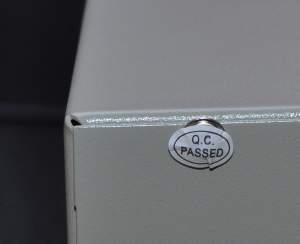 My reflow oven has been configured for 220 VAC and received a CE marking to enable sales on the European market. Anyone aware of the grounding issues of the case already knows this CE marking should be taken with a grain of salt. 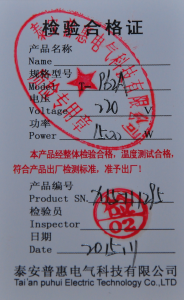 The type plate and nice looking guarantee card are both hand written. The production date seems to be November 2015, which was only three months ago. The front side of the cover contains the controller PWBA, the LCD display, two LEDs and a cooling fan. 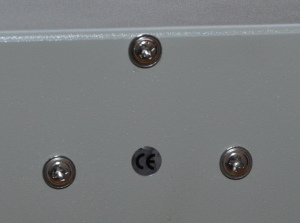 The controller PWBA consists of two parts: a low voltage part on the left side (“T962/1”) and a high voltage part of the right (“T962-2 NEW2”). 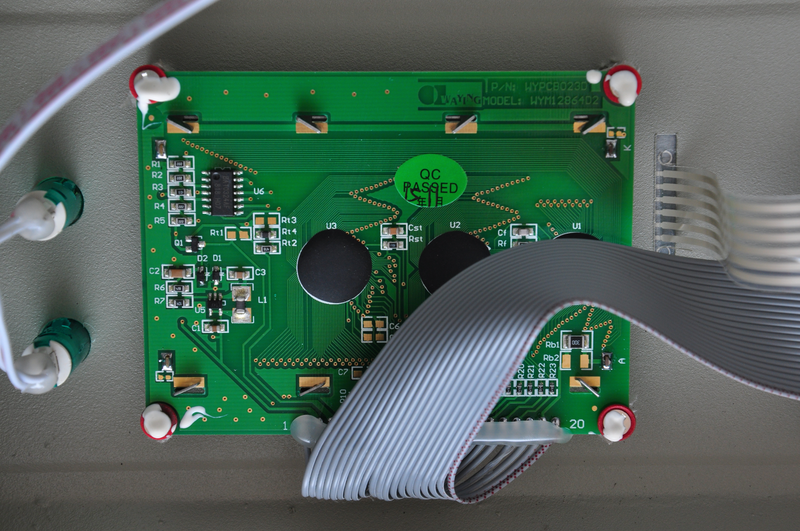 The board is not fully populated and contains less parts than some of the controller boards shown on-line. 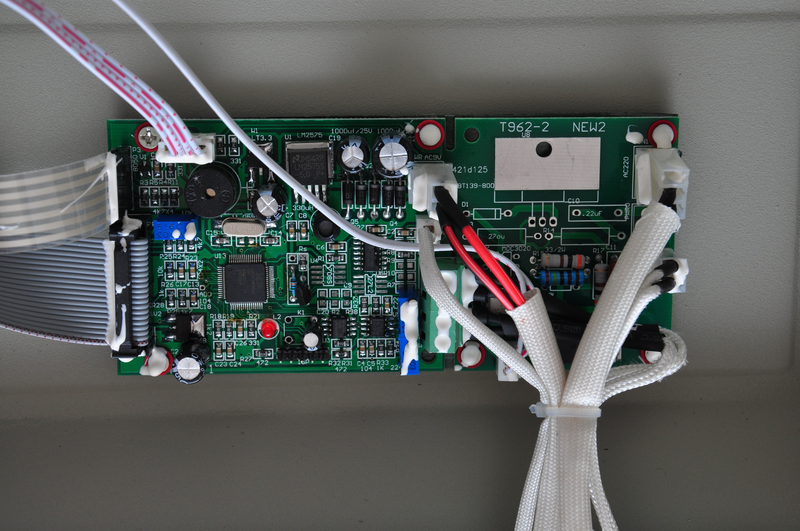 Every connector on the board is fixed with white silicone kit, which can be easily removed to disconnect the cables and clean up. 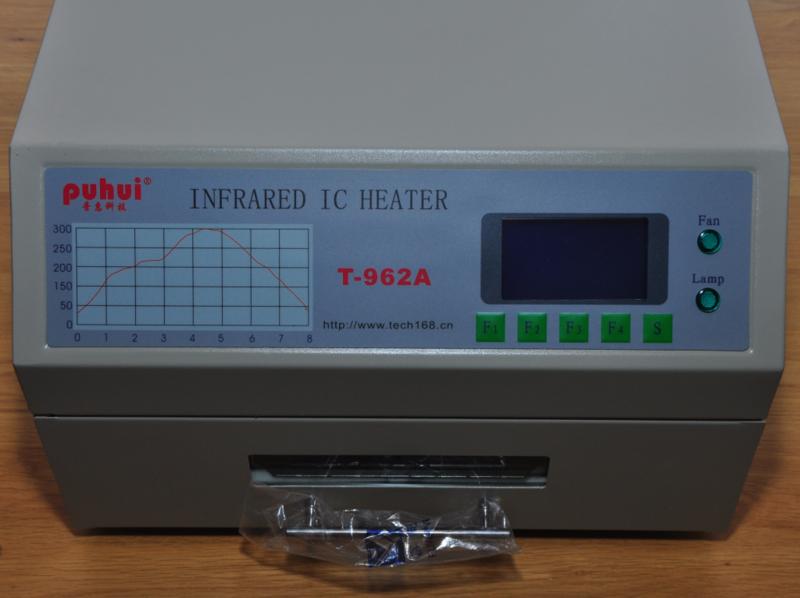 The LCD display is a Waying WYM12864D2 128 x 64 dot matrix with SBN0064 controller. The dots are 0.48 x 0.48 mm with a pitch of 0.52 x 0.52 mm. 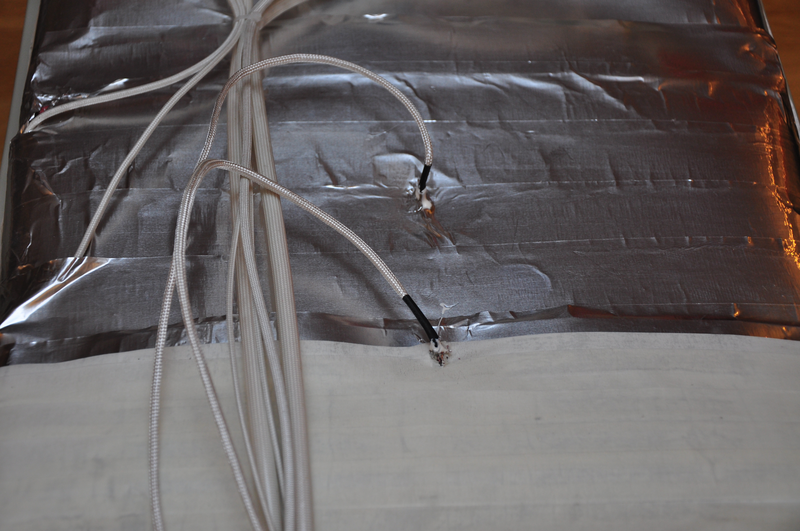 Note the incorrect orientation of the ribbon cable with the red wire going to pin 20. 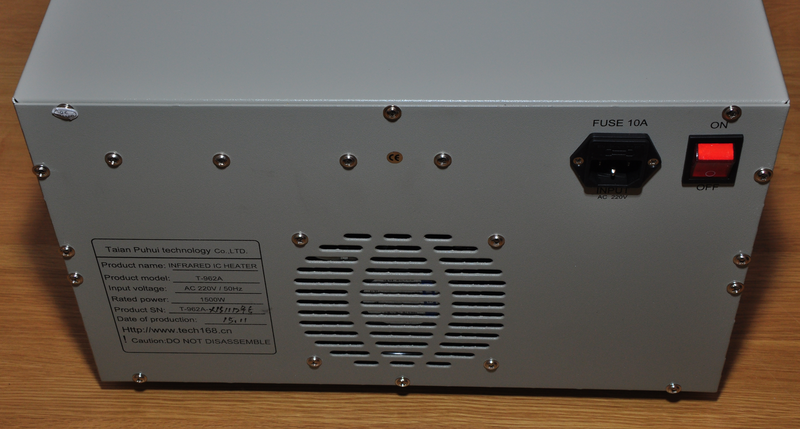 The rear side of the unit contains a power switch, a chassis for a Euro power cable, a JBEN SSR-25 DA solid state relay and a 5 W transformer to 9 VAC.